Tonya Thumma is finishing her fourth year at Dickinson Dining Services working in the kitchen and Dining Hall serving areas. 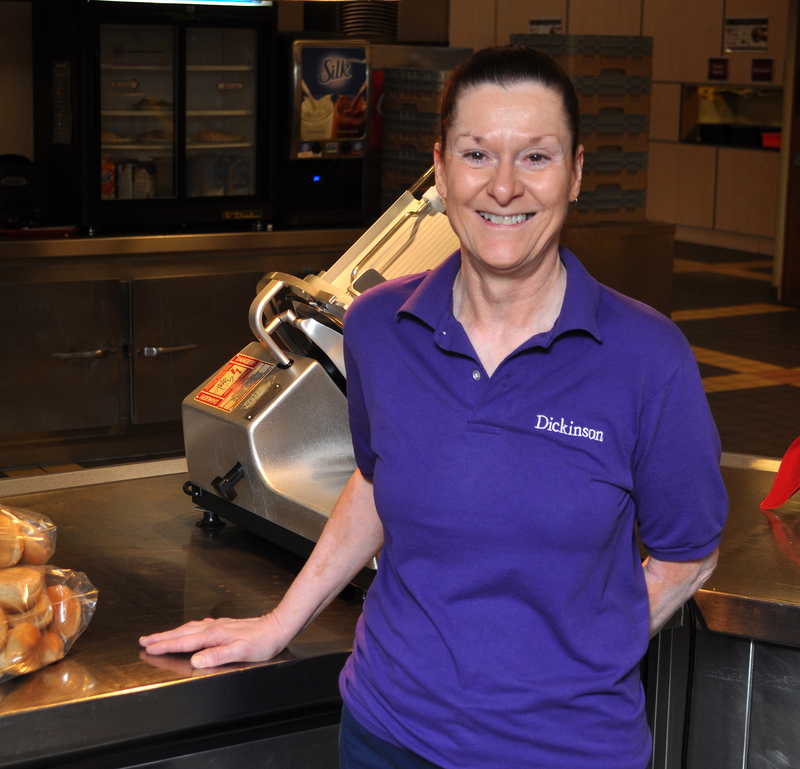 Thumma prepares hundreds of pounds of deli meats and cheeses daily for hungry Dickinsonians and serves up sandwiches during the week at lunch in the Dining Hall. Thumma’s favorite part of working at Dickinson is interacting with students on a daily basis. She also enjoys the company of her fellow co-workers. Outside of work, Thumma enjoys spending time with her grandchildren and attending concerts and shows.